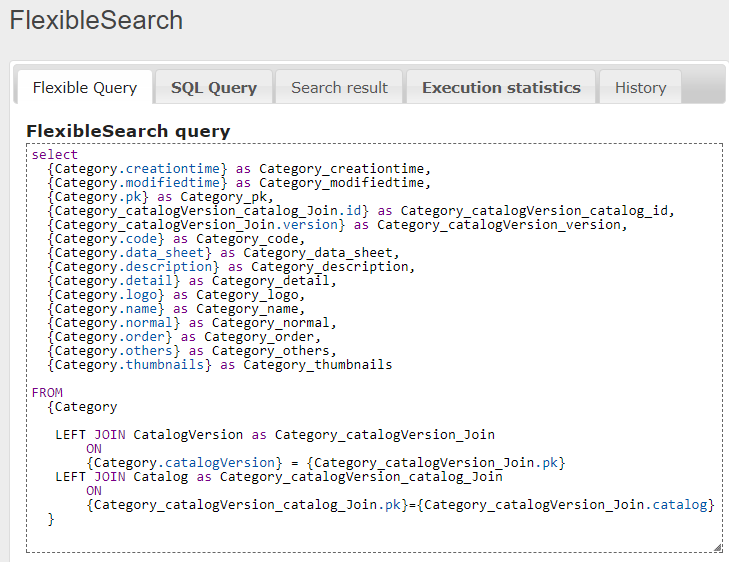 Today I present a groovy script for creating a Flexible Search query for any hybris type. 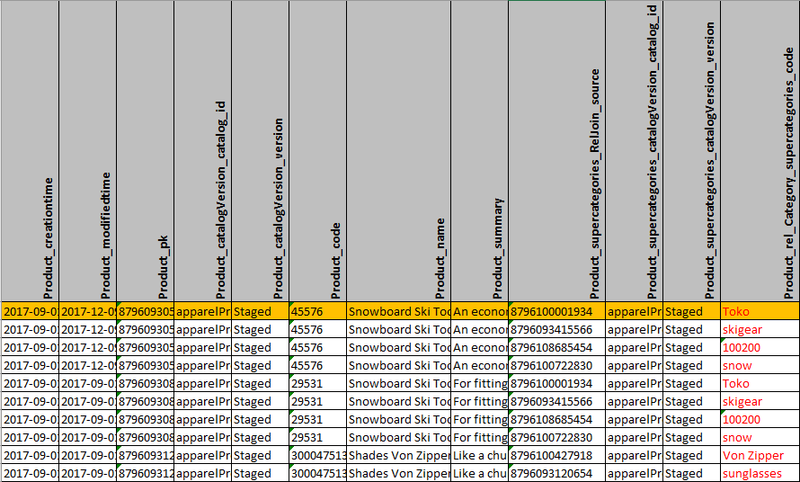 You can use this query as a template for troubleshooting or data reconciliation. It automatically resolves the RelationType and ComposedType attributes to make the result set human readable. It can’t work with collections and maps because FlexibleSearch engine is not designed to work with them too. However, with the attributes of RelationType and Composed types, which make up the majority, it works rather well. 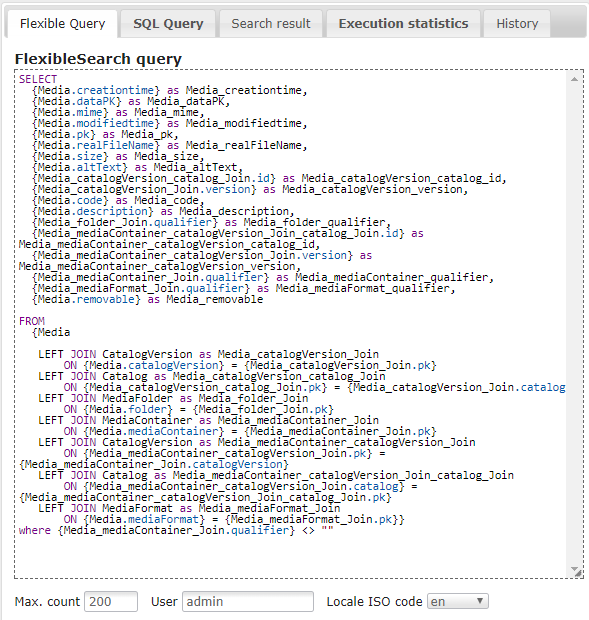 After executing the script via HAC, the script shows the following FlexibleSearch query. This query is generated from scratch. It can be used as a template for your own. For example, you can add WHERE clauses to filter the results. 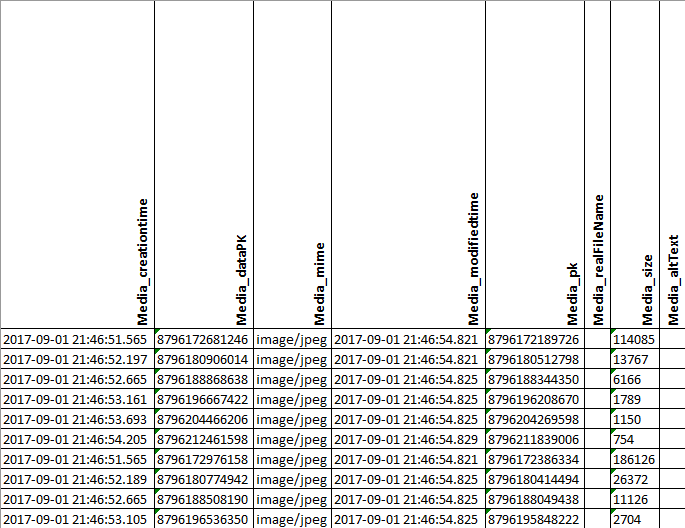 If you copy this query to HAC and execute it there, you will get an HTML table which can be easily copied to Excel for the analysis. The script extracts all fields from the Category object, filter out the relations (if specified) and maps (always) and resolves the Composed types. What is “resolved” means? Let’s see the list of attributes of Category. 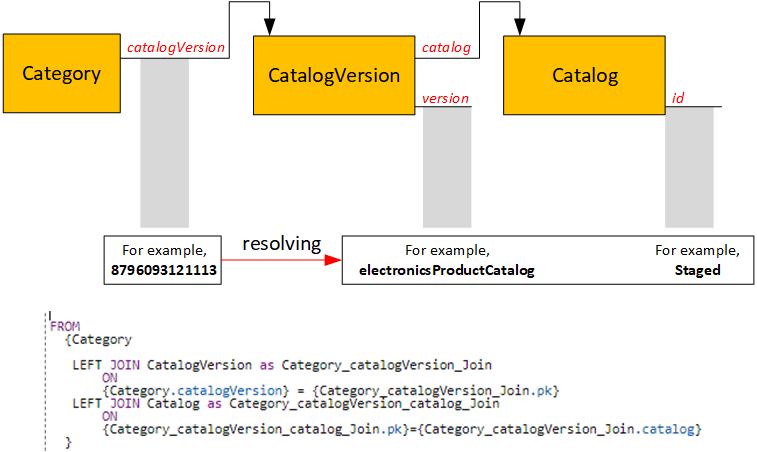 One of the attributes is catalogVersion. The script check the reference types and process their unique attributes. If these attributes are of composed type, it goes further. 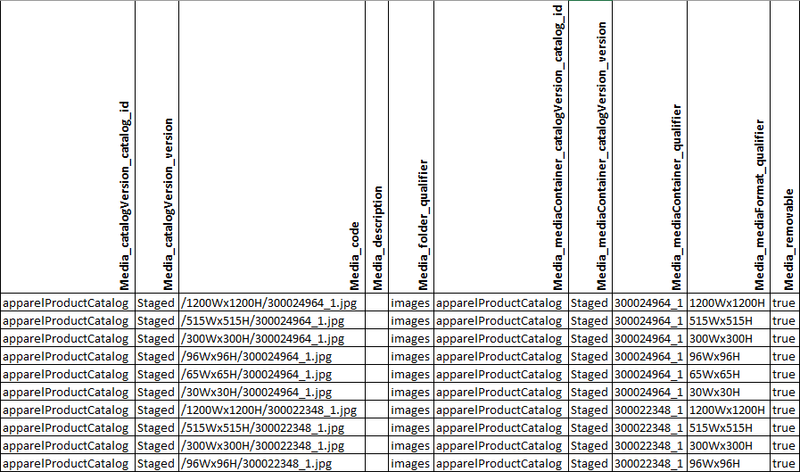 In the report, we see the Catalog.catalogId and CatalogVersion.version because these fields contain the text information. If Catalog had any unique attributes pointing to the 4th object, the system would go there and pull the unique attributes from there. 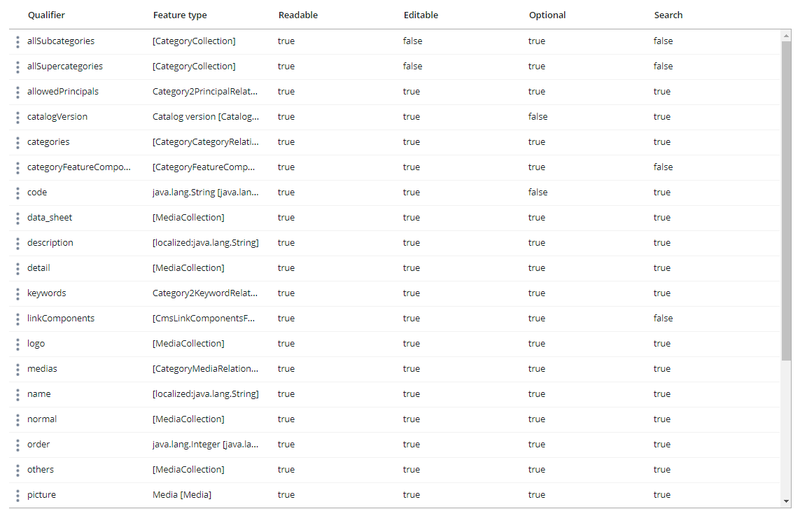 If the object doesn’t have the unique attributes, the system can’t assume which of the attributes should be substituted in the flexibleSearch query and leave things untouched. For example, for the Product, we have an attribute productOrderLimit of ProductOrderLimit type which has no unique attributes. So the system decides to show PK instead of ProductOrderLimit.code which is not unique. There are some limitations, though. 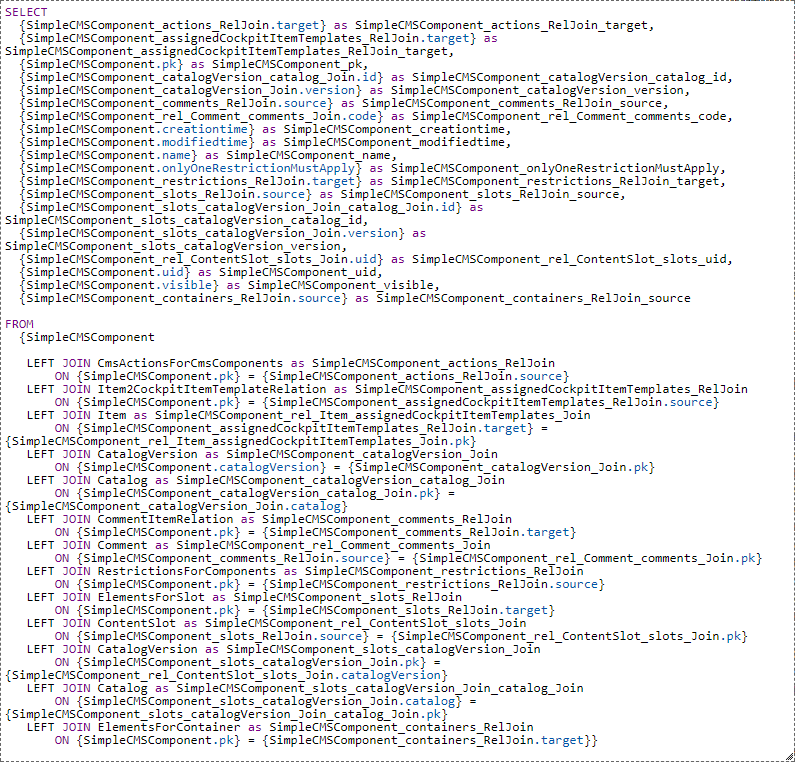 Cyclic references are not processed properly. The relations for the sub-objects are not processed. Maptypes are not processed anywhere. Too many JOINs may slow down the system significantly. I hope some of these things are to be fixed in the later versions. 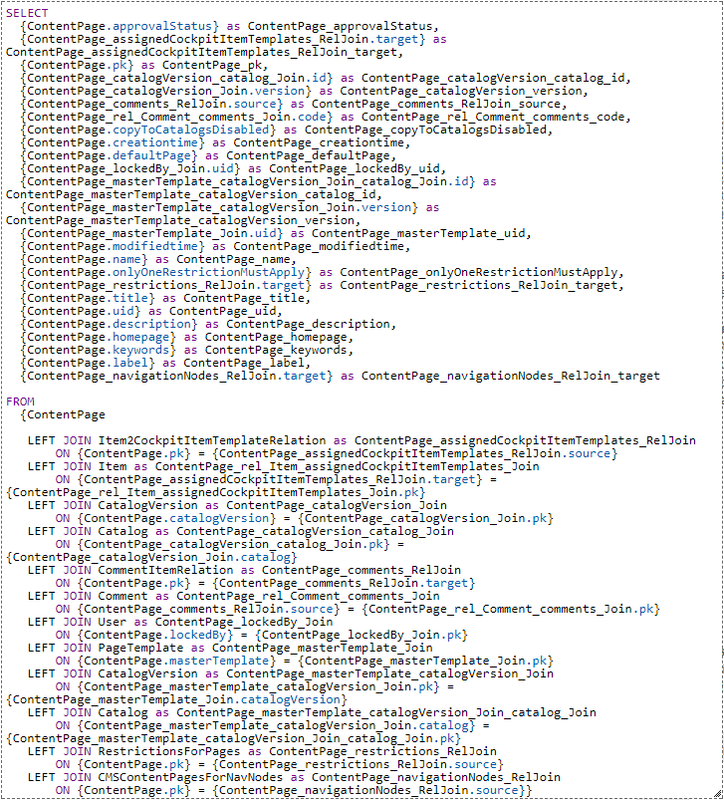 If we execute it in HAC, we’ll get an HTML table. Let’s move it to Excel, transpose it for better presentation. Let’s look closer at the output. You can see that some fields still contain 13-digit PKs. They are collections or enums, and FlexibleSearch doesn’t support both. Product_unit_code is resolved here via JOIN Unit, so you can see a string value in the table rather than an external key. 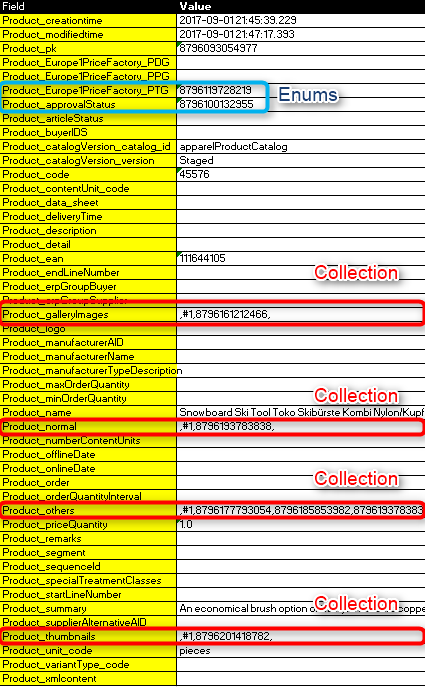 The same is with catalogVersion – one external reference was resolved into two columns. 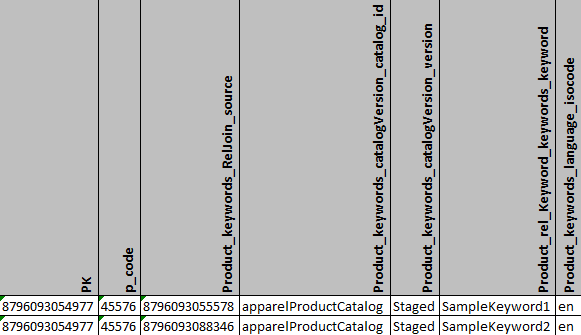 So the system identified that the product-keyword is a relation, and it connects Product with the Keyword table, and Keyword has two unique fields, catalogVersion and catalog, and it joins them as well. Another unique field of Keyword is language, and it is also a composed type, so the system joined the Language as well. With these settings, the resulting FlexibleSearch will be shorter. you will have more joins the request will work much slower. ← Useful Groovy Scripts. Part 2.